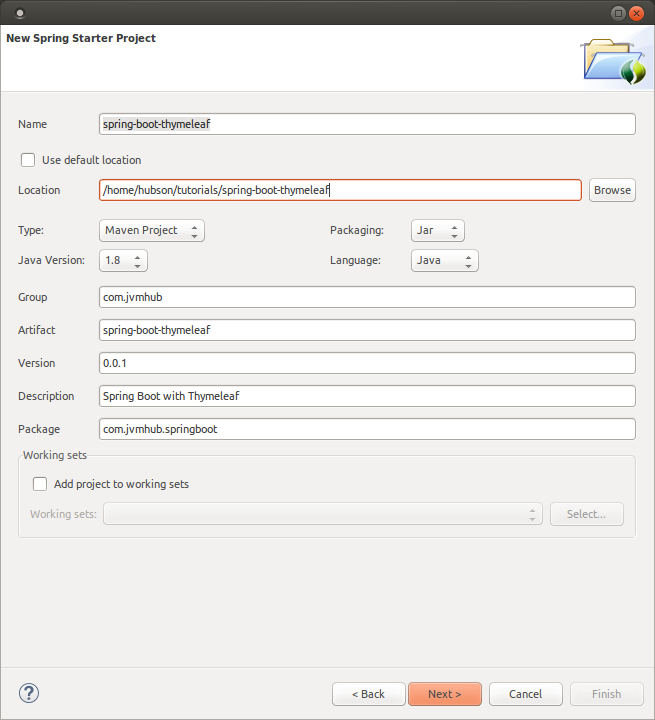 In this tutorial I am going to show you how to set up your first project using Spring Boot. I will use Maven and Thymeleaf as a template engine. 1. Create new project using Spring Tool Suite. Click File – New – Spring Starter Project. Fill inputs as in the picture below. Click Next button. If you do not use Spring Tool Suit you can use web version of this generator on http://start.spring.io. 2. 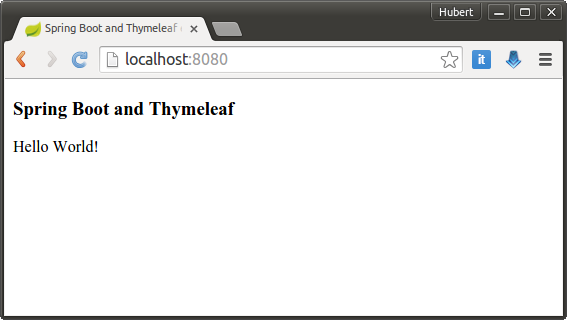 On the next check Thymeleaf as a template engine. Click Finish. 3. 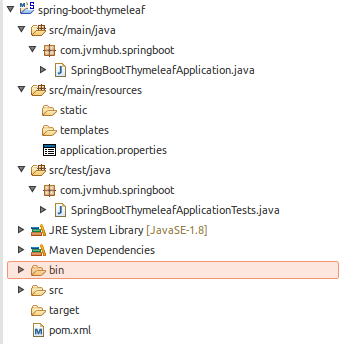 Spring Starter Project generated new Maven project with pom.xml where are added all needed dependencies, especially spring-boot-starter-thymeleaf. 4. 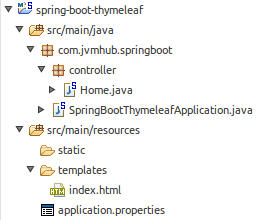 Usually Spring Boot application created in this way is ready to run, but using a Thymeleaf needs a little bit more effort. We have to create a new template file in templates directory. Create index.html file. 5. The last step is creating a controller which is able to show us the index.html page. Create new package “controller” and then new Home class in this package. Add @Controller stereotype to the class and @RequestMapping(“/”) to intex() method whick return the name of template.